The Acropolis is an ancient citadel situated on top of a rocky hill, flaunting age old buildings and their remains that speak of the glorious past. If you are in Athens, it is unlikely that you will leave the city without visiting the Acropolis, one of the most frequented monuments in the country. So, here are some tips to help you plan the few hours that you do intend to spend admiring the architecture that the monuments flaunt and the historical tales that they echo…. Start early. It would be great if you are already there when the site opens at 8 am. There wouldn’t be too many people around and you would be able to click pictures without any random ‘photo bombers’. Avoid the afternoon, especially in the summer months. There is no shade on top of the hill and the Sun is really strong. Carry a bottle of water. We did not see any vending machines en route while climbing from the base to the top. Wear comfortable shoes – a large part of the walk is through uneven large stones…many having jagged edges. Your soles will bless you if you wear good walking shoes. There are two entrances to the Acropolis and tickets can be bought at either. We used the one opposite the Acropolis museum, which was very easy to find. When we went, the tickets had to be bought at the entrance and could not be bought online. The ticket costs EUR 12 and includes entrance to six other sites. The ticket can be used over four days. 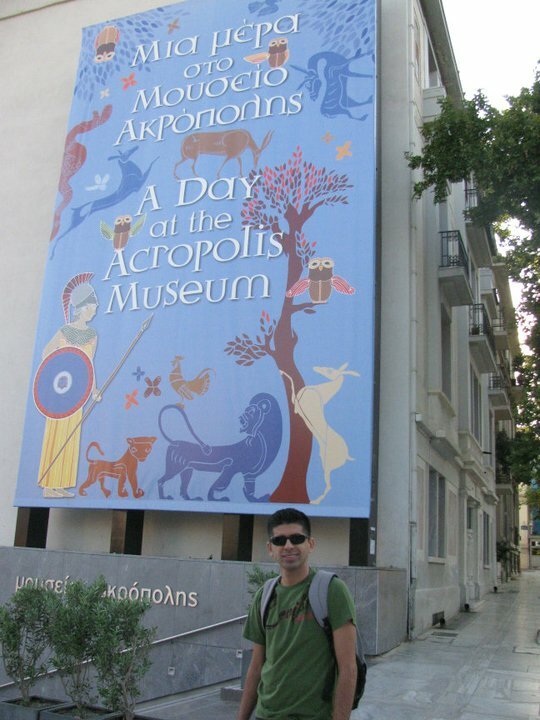 While most people visit the Acropolis Museum after having visited the monument, we would recommend the opposite. Visiting the museum first orients one to Greek history and mythology, thus making the visit to the monument much more worthwhile. 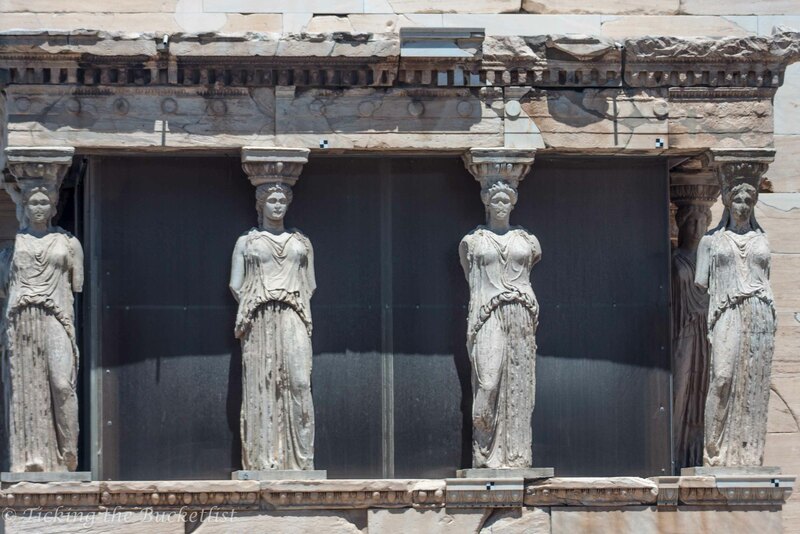 Tickets to the Acropolis Museum can be bought online. The closest metro station to get to the Acropolis is the Acropolis station. There are plenty of hotels close to the monument i.e around Syntagma square area and we would recommend staying in the same area. Plaka is a few hundred meters from the Acropolis base. 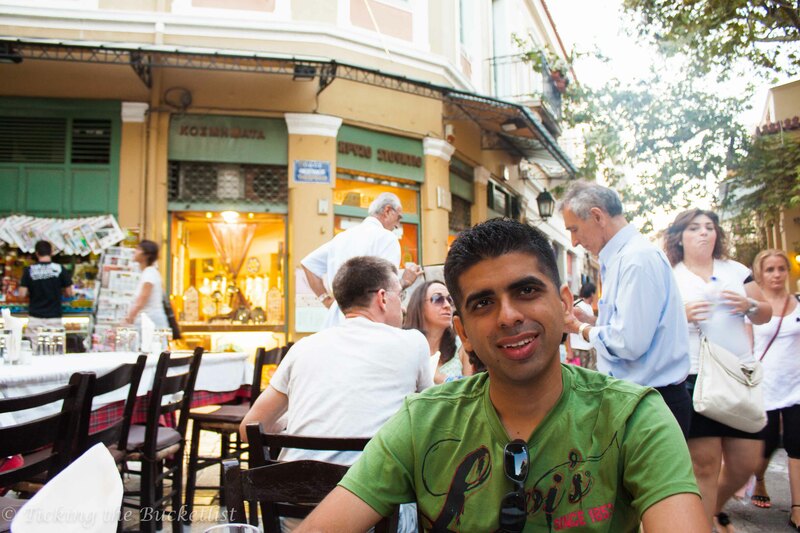 It has some lovely open air Greek taverns to satiate the hunger after having walked the slope of the Acropolis hill. 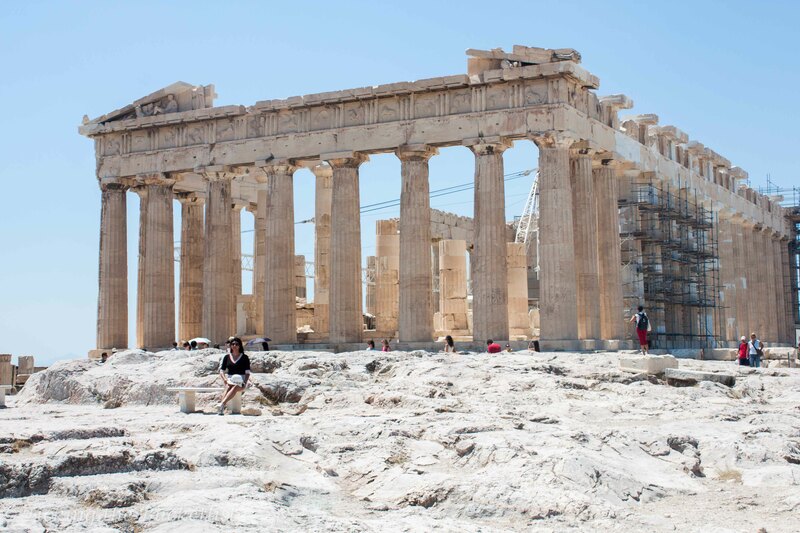 Save some money and download the audio guide on your phone instead of renting one at the Acropolis gate. If you are unable to do so, recommend renting the audio guide. There is so much to know about the site and the guide elevates the experience by a notch. Have you visited the site recently? Are there any tips that you would like to share with fellow travellers? If so, please do so in the comments section below! I love that you prepared so well for the sun, I burn really easily so its a major concern for me. I hope they introduce online tickets soon, but its still a really fair entrance price. Getting up early will be worth it. 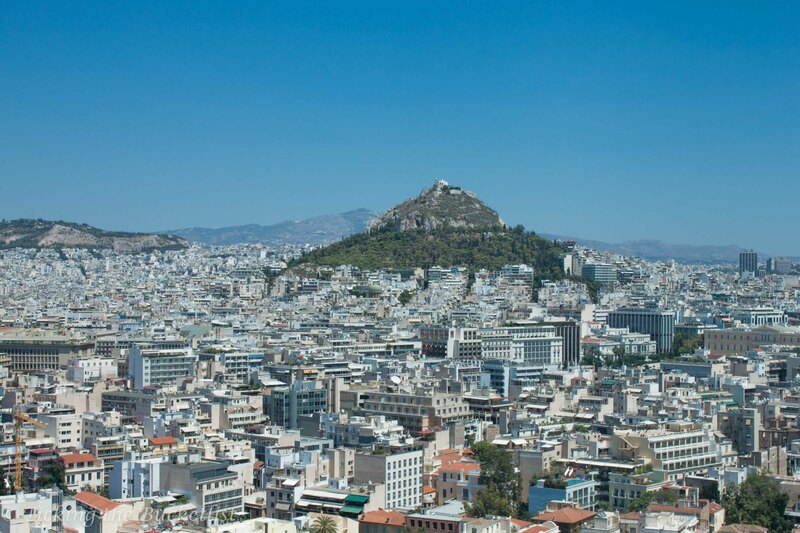 Athens, and the Akropolis are definitely on my list: I hope I can make it there this year actually. I am scared of the crowds but good to know it is not that busy in the morning. And surprised to hear that there were not people/vending machines selling water (would make it money though). wow the acropolis is one of the great treasures of human civilization. It’s funny. It’s been several years since we visited and it seems like a long time, but a timeless place like this really resets your frame of reference. Athens and Greece holds a great fascination for me. 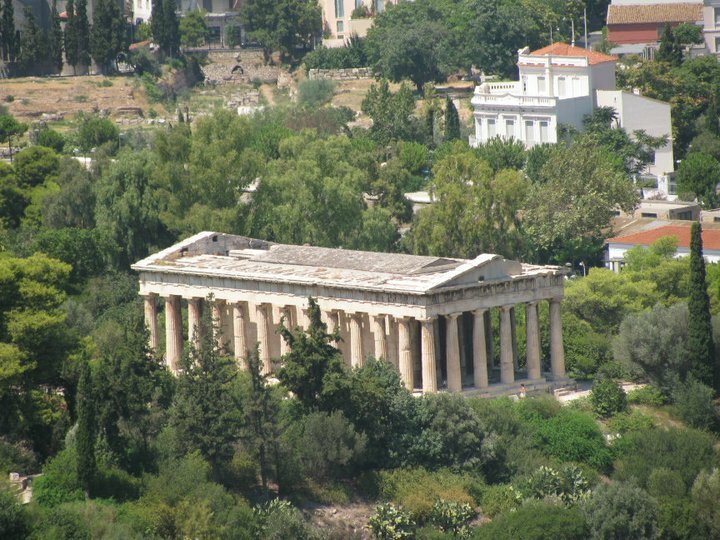 Have always liked Greek history and mythology and the magnificent Greek monuments. Given my fascination for everything Greek, Athens is a dream destination. 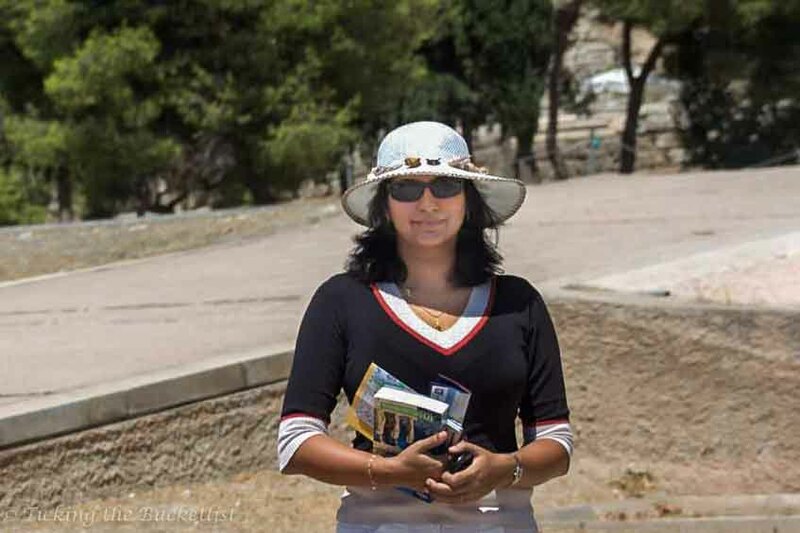 Great tips by you which will stand us in good stead when we get there, Nice tip about visiting the Acropolis museum before actually visiting the monument. Thank you for your very useful information. I have been one of those travellers, stuck at a gorgeous monument at the worst time, sun beating down, dehydrated. It isn’t fun! I will have to remember to avoid those peak sun hours when I finally get to visit. Interesting suggestion about visiting the museum first. I recently visited the Grand Palace and Pho Wat in Thailand and had a funny experience while writing our story about it. During our visit, we wandered around and took pictures. We made a point to “see” everything but we missed a lot of the context. Later, I put the pictures on our blog and literally had nothing to say about them other than just – here is a pretty picture. I jumped on line and did a little research. I learned how that model of Wat Angor was built because the invasion of Cambodia failed and they couldn’t bring Wat Angor brick by brick back to Bangkok. I learned that the Jade Buddha was three times as old as Bangkok and and entire display of Buddhas lined up in symmetry was a salvage mission after the Burmese sacked Chang Mai. Now, I wish I had this backstory when I was there in person. Next time, I’ll go to the museum first. These are great tips. I was on a group tour when I went to the Acropolis so our tickets were paid for, but the tip about shoes is vital. PLUS I found it so slippery on the stairs with the tiling when you climb the hills to get there. The bottled water is also a good tip as there are no places to get water. I hope to get back to Greece at some point!